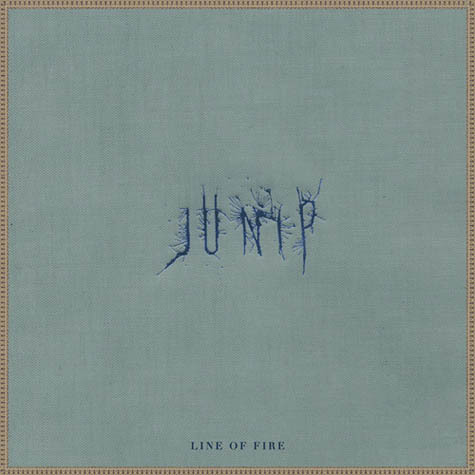 Letters From A Tapehead: Junip: "Line Of Fire"
Though I'll admit it gets a tad overwrought toward the end, I really enjoyed listening to Junip's "Line of Fire" this morning, finding it both gorgeous and affecting. You can listen to it below. Junip's self-titled album will be out via Mute on April 23rd. All info, links and music were provided by Mute. Last week Junip released “Line of Fire”, the first single off their sophomore album Junip, out April 23rd. Featuring vocals by José González with Elias Araya on drums and Tobias Winterkorn on keys, “Line of Fire” showcases a bolder, more mature Junip – once again eager to embrace you with their infectious blend of percussion and passionate, immeasurable waves of genuine emotion. Already receiving high praise, this track is a true stunner and expressive of what's coming down the line. Within a few seconds of devouring “Line of Fire” you will take note of the ease with which Elias, José and Tobias blend their individual styles into one adept, fluid and pulsating movement. Extensive touring following Fields allowed them to get a jump start on writing, “We’d press ‘record’ when we started jamming, and end up with a pretty complete song structure when we finished,” González explains. Head over to their soundcloud now to give it a listen! Junip expands the band’s stylistic palette with unexpected juxtapositions. “We’re somewhere between a German jazz band and an African pop band,” González cracks.